As part of my personal observance of Lent I have Father Robert Baron, the priest who produced the Catholicism series, e-mail me daily reflections. Last week he compared the 40 days of lent with Baseball’s “Spring Training”. Every year baseball players use this time to work on the fundamentals of their game, how to throw the ball, how to hit the ball, how to catch the ball. They do this because in these basic skills resides their success as ball players. In a similar way during lent the Church uses the first five Sundays of Lent to remind us of the fundamentals of our faith to prepare us to the spiritual equivalent of the World Series: Holy Thursday, Good Friday, Easter Vigil and Easter Sunday. 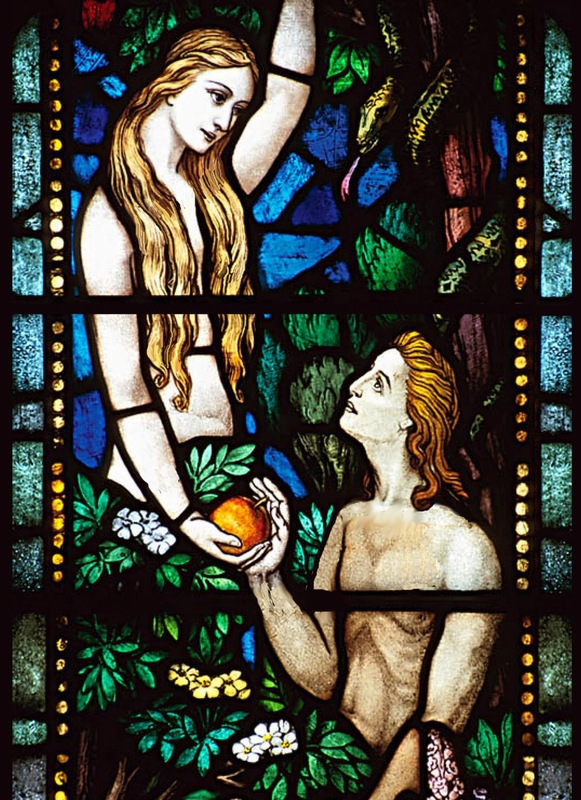 I liked this analogy so I decided to dedicate this first Sunday of Lent to focusing in three points which are fundamental to our faith, using today’s first reading: the stories of the creation of men, the temptation of Adam and Eve, and their fall. In this reading, first, we hear about how “The LORD God formed man out of the clay of the ground and blew into his nostrils the breath of life” so that “man became a living being”. The first thing to notice is that this passage echoes the words we heard last Wednesday night when we received ashes in our foreheads: “Remember that you are dust and to dust you will return”. This is the first fundamental point of our faith: We are dust. It is only by God’s life giving breath, by God’s life giving spirit which we are here today. God created us out of the stuff of stars and gave each one of us an immortal spirit, making us unique along all of his creation. Next we hear about how “the LORD God planted a garden in Eden” and about how this garden contained “various trees that were delightful to look at, and good for food”. This is our second point. God has called us into existence and planted us into a creation which is good and delightful to see and enjoy. In other words, our place in our families, our homes, our communities did not happen by accident. The Lord God prepared these for each one of us to enjoy and everything which is good and delightful in them is a gift from God. Now, much has been said about the nature of this tree and about why would God place it in the center of the garden, and then prohibit Adam and Eve from even touch it. But this is precisely our third point! Let me explain it to you this way. Every day we are confronted with many types of actions, things we do, things others do. We know that some actions are either good or just plain evil, however there are some which tend to fall in the “gray area”. Should I pass the red light or not, should I give money to that homeless guy or not, should I follow this teaching of the Church or not. We tend to look within ourselves for these decisions and we take them depending on how they could benefit us or others. The authority to label an action, any action as good or evil, does not reside within us. This authority is the Knowledge of Good and Evil God has planted in us, and it belongs only to God. Only God can dictate what is good or bad; and part of loving God is accepting his divine prerogative, without questioning His divine authority. My brothers and sisters, this last principle is one of the most important teachings of our faith. God created us to love and trust him. Our first parents on the other hand wanted to be like God, not in the sense that he is all powerful or all knowing, but in the sense that they wanted to be able to decide by themselves what was good and what was bad. They stole the divine authority which only belongs to God, who is the source of all good. That is our inheritance, that since the moment of our birth we have a deep desire to live our lives in our own terms, to decide what is good and what is evil based on our own selfish desires, feelings and opinions, relegating God to be just an observer of our own self destructive behaviors. This is not why we have been created for and how God wants us to live our lives, and this is precisely what the Church wants us to understand and reflect on this season of Lent. Reflecting on these three points should be a fundamental exercise of our spiritual life, especially in this time preparation for Holy Week and Easter. Like athletes who train for an important game, we are to exercise our spiritual muscles this lent by considering God’s creative love and goodness in our lives, recognizing how he has provided for us from the first moments he called us into existence, and lastly by confronting our fallen nature and our deep desire to live life in our own terms and not by following and accepting his divine authority.